About Access BDD | Bentley Mobility Services Ltd.
Access BDD is the sole supplier of the Flow II stairlift. The Flow is the leading example of a product that has been designed to accommodate non-standard staircases. 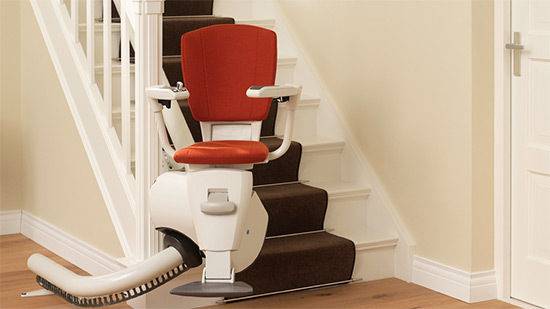 The unique automatic swivel feature allows both the seat and footrest to pivot in mid-travel, ensuring that the user is carried comfortably and safely on even the narrowest of staircase widths and very tight corners. If you have been told by other manufacturers that your staircase is too narrow to accommodate a staircase without expensive alterations then you may find that the Flow offers you an alternative, and BMS are an authorised dealer and would be happy to discuss your individual requirements with you.